Sumaya Sol is a 2008 Lagoon 420, Owners Version catamaran for sale with Just Catamarans. Check out the new Video walkthrough showing her stunning condition. SUMAYA SOL is located in Fort Lauderdale, FL built in 2008 and listed at $339,900. SUMAYA SOL has been meticulously maintained and is in excellent condition. She is in far better condition than when they bought her. Sumaya is a Tibetan Buddhist term for living life with intention. She’s available for inspection 7 days a week. 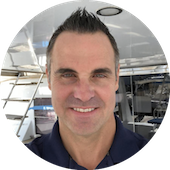 Speak with Just Catamarans broker Jim Ross to schedule a private showing.